1. From the Tools menu, select Internet Options. 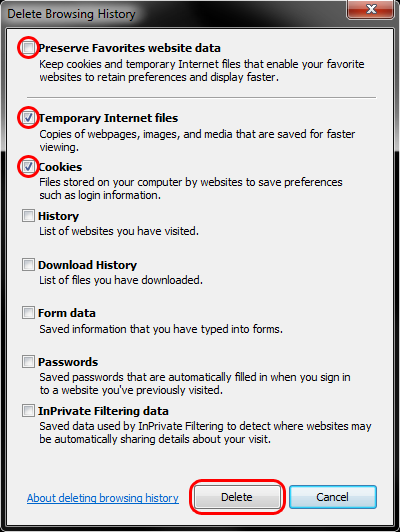 You see the Internet Options dialog that provides a number of tabs that allow you to set your browser preferences. 2. To enable session cookies, click the Privacy tab. 3. From the Settings section of the tab, click Advanced. 6. Locate the Custom area of the Security tab, and click the Custom Level button. 7 .From the Security Settings dialog that opens, scroll through the options until you see Scripting. 8. Check the radio buttons next to Enable Active Scripting and Scripting of Java applets. 9. Click OK to accept scripting and cookie handling changes and close the Security Settings window. 10. 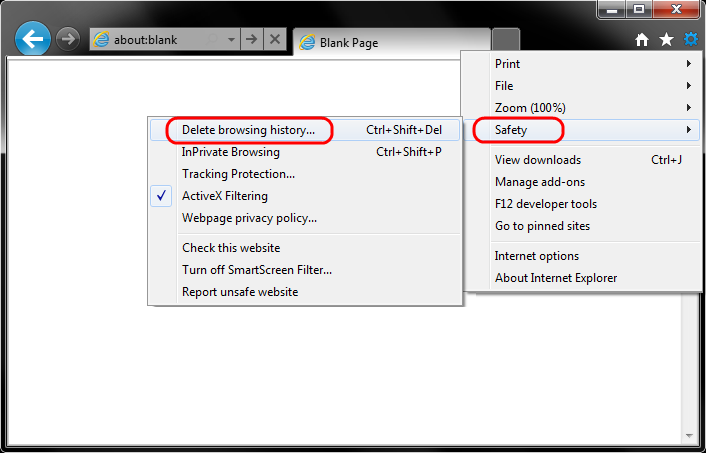 From the Internet Options dialog, click Apply to effect settings then OK to close the dialog. 2. 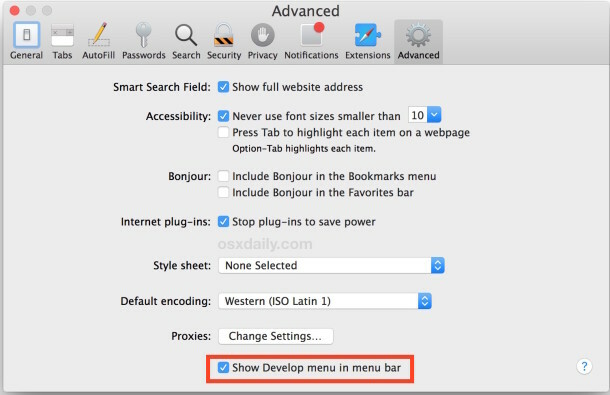 Click the Menu icon on the browser toolbar. 4. Click the Show advanced settings… link. 5. Click Content Settings in the Privacy section. 1. From the Macintosh file menu, select Safari and then Preferences. 2. From the Preferences dialog that opens, select the Security option (padlock icon). 4. Under the Accept Cookies option, check the radio button for Always. 5. Click OK and close the Preferences dialog to apply changes. 1. From the Tools menu (Windows) or Firefox menu (Macintosh), select Options. 2. From the Options dialog that opens, select the Content option (globe icon). 5. Under the Cookies tab, check the Checkbox for Allow sites to set Cookies. 7. Click OK and close the Options dialog to apply changes. Once the above yellow and white banner shows, then please restart the browser by closing it out completely and then open again. Proceed back to www.comergence.com to login. If not successful, please contact Comergence Support. As implied, this removes all web caches from Safari, and it can not be undone. I keep receiving the following message: "ATTENTION! 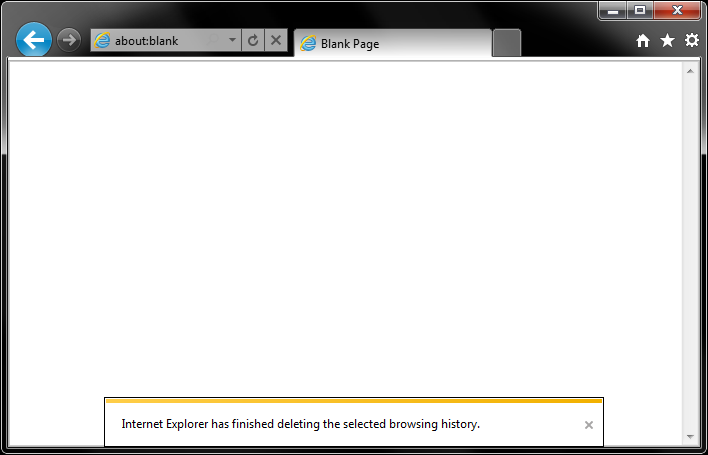 You are using an outdated browser!" What does this mean?